Gerald Eugene Stano was born on September 12, 1952 in Schenectady, New York and died at age 46 on March 23, 1998 in Starke, Florida by the Electric Chair. Gerald was a serial killer that was convicted forgery and killing 22 women, but he confessed to killing 41 women. His birth mother named him Paul Zeininger when he was born but gave him up for adoption at the age of six months. She gave him up for adoption because she was unable to take care of him to the point where he was eating his own feces to survive. Paul was adopted by a nurse named Norma Stano, and she renamed him Gerald Eugene Stano. Gerald did not grow up being a perfect kid or close to it. His adopted parents were considered loving parents but had problems disciplining their son. He was a master at music class in school but got C"s and D"s in every subject in school. Gerald had accidents in the night where he wet his bed frequently until the age of ten. As a child growing up, he lied a lot where it came to a point that he was so good at it. Gerald paid his team members money to finish the race behind him so that he won"t be seen as a complete failure to everyone. He was caught stealing that money from his father"s wallet to pay the team members. Gerald got left back many times in school that led him to graduate at the age of 21, and he did not attend college. Gerald claimed that he started to kill in the 1960s at the age of 18 years old in his neighborhood. Evidence show that a lot of girls went missing during that time period. There is no evidence 20 years later when these crimes were investigated that Gerald committed these crimes. Although he confessed to them, he was not charged for those girls gone missing in the 1960s. Gerald did most of his killing in New Jersey and Florida and admitted to committing most of his killings when he was in his 20"s in the 1970s. He was in prison for murdering 41 women by his 29th birthday and apprehended on April 1, 1980. He shared a cell with famous serial killer Ted Bundy who was executed in 1989. Gerald had a fair execution where he was told the truth by the Governor of Florida and other officials. He was told that his final words would be to give the location of the last girl he killed. He told everyone there that the body was buried right across from the police station, and the Governor of Florida at that time, said "No more." He did not want to hear any more details because Gerald was told that he was going to be executed whether he told them or not where the girl was. There was a controversy whether Gerald killed all these female or not. It is said that most of his murders was fabricated. His arresting officer, Detective James Gadberry believed that Gerald was a "serial confessor". Detective James was hesitant to sign a legal affidavit in 1986, but he did and stated that Sergeant Paul Crow Spoon fed Gerald the details about the unsolved cases. In Detective James affidavit, he said that other officers also witnessed Crow helping Gerald to confessing to the crimes that he didn"t commit. Crow went through a lot of effort to help Gerald with information to confess to the crimes he did not commit. Crow testified in Orlando Federal Appeals Court in 1993. During that testimony, Crow recalled that he used copies of stories from newspapers to get details about murders that she gave to Gerald. Gerald confessed to one of the murders given to him by Crow which he didn"t commit and was executed for that one murder. Crow"s fellow officers also recalled Crow gathering information about "cold case" and unsolved cases from foreign jurisdictions. Florida Governor Lawton Chiles removed Crow from office in 1995 for corruption. In 2007, it was proven that Gerald did not kill Cathy Lee Scharf which is the crime he was executed for. The pubic hair found on Cathy was of a Caucasian person and was destroyed after Gerald"s execution in the electric chair. Gerald"s attorney did not present the evidence during his court trial. 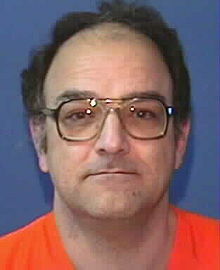 Gerald Eugene Stano serial killer is a male serial killer.